Protects – Keeps water, gases, and rodents out of conduits. Quick – Installs in 45 seconds. Re-Enterable – Installed ZipSeal™ is easily removed. Multiple Seals – One kit seals up to five 2-inch/50 mm conduits. Meets NEC Code Requirements – 2011 NEC Articles 225.27, 230.8, 300.5 (G), 300.7 (A), on Raceway Seals, 501.15 (B)(2). Meets Industry Standards – Complies with TIA-758-B Standard 5.1.1.2.8, 5.4.2.3, and 7.4.2.8.1 Sealing Ducts. 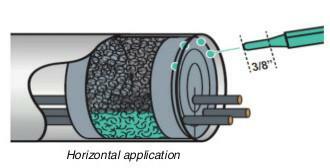 ZipSeal™ Duct Sealant is a practical and efficient way to seal small conduits and communication innerducts. 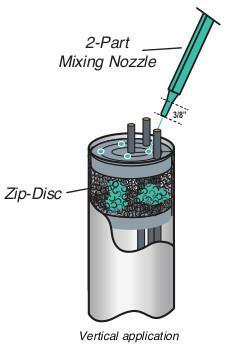 The revolutionary Zip-Disc™ insert traps and keeps the foaming liquid in its open-cell (center) area. The unique two-part foam installs quickly and effectively. The innovative design of the Zip-Disc™ insert allows for horizontal and vertical installation with minimal drippage. 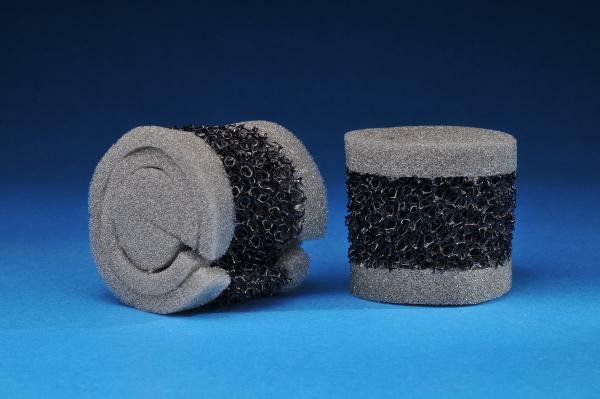 Cured foam blocks can be removed and re-entered relatively quickly if necessary. ZipSeal™ Duct Sealant holds up to 10 feet (3.0 m) water-head pressure to keep gases and rodents out of conduits. Polywater® ZipSeal™ is recommended for small conduits and communications innerduct applications. It comes in a side-by-side 50 ml cartridge with a 1:1 mixing ratio. A TOOL-50-11 is needed to apply the ZipSeal™ 2-part foam. Each kit comes with all the components required for a quick, yet strong duct seal, including the unique Zip-Disc™ for fast and easy application.